Each of us is unique. Our consultations are designed around a conversation listening to your concerns, challenges and health goals. We listen and promote self discovery. With Hello Palate’s holistic approach and unique skill set of assessment tools we become investigators into your current state of health. 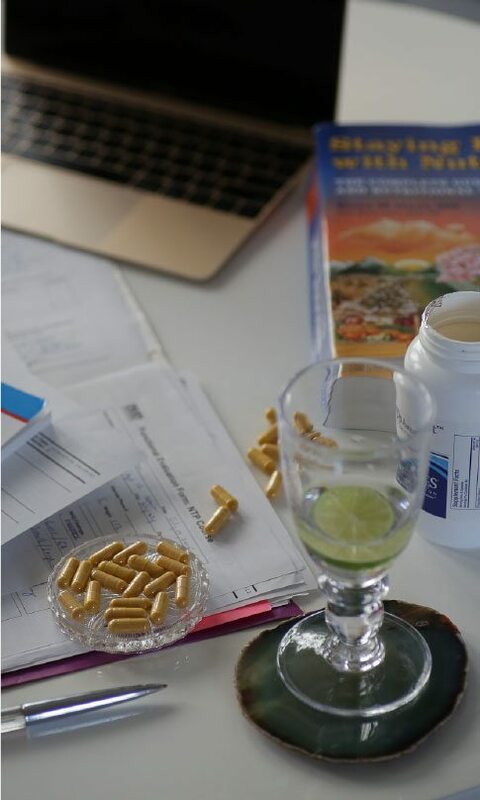 Nutritional Therapist like Michelle are trained in using a series of palpations and LNT to identify any nutritional deficiencies allowing us to customize, plan and target the nutrients that will nourish, replenish and make you feel your best. Through guided collaboration, we make recommendations based off our clinical findings with foods and or supplements that will support your body’s systems, all the while encouraging you to reach your health goals. We help a variety of clients with digestive issues, chronic fatigue, weight imbalances, ADHD or weekend warriors gearing up for a race. At hello palate we make it easy, make it real and make it fun! Hello Palate offers a variety of lectures and health talks at college campuses, corporate offices, and wellness centers. Contact us today to create your own customized series that can range from one session to ongoing monthly or year long programs. You don’t have to be a classically trained chef to make flavorful food that pleases the palate. Hello Palate will guide you in learning simple methods of cooking to easy methods of presenting foods. The kitchen therefore becomes less of a burden and more like a discovery in an artist’s studio. Topics include the five senses of taste and how to incorporate sweet, salt, umami, bitter and sour into your daily palates for a balanced sustainable approach to healthy eating. Here we coach your palate again to taste all the flavors food has to offer after our western diets left us with two notes of sweet and salty. Once you are able to fully decode your palate, you are on your way to becoming your own nutritional expert! Using the kitchen as an creative and meditative outlet Hello Palate’s guides your senses and imagination to create meals without depending on recipes. Demonstrations on common cooking techniques will allow you to become a home chef in no time. Mandala Workshop uses the ancient meditative practice to encourage children to eat a full spectrum of foods by delighting their senses with the use of color in art and food. The Adventure of Food take children on a culinary trip giving their palates a taste of what the world has to offer. Hello Palate is a full service nutritional practice. We love collaborating with other brands, restaurants, food styling and writing, school nutritional seminars and corporate wellness programs ,speaking engagements, and menu planning. Hello Palate will work with you in developing your own unique style providing knowledgeable guidance in nutrition and delicious foods. Contact michellepesce@hellopalate.com for more information.